Next review Bookvip - FRAUD !!!!! In June 2014 we booked at Azul Sensatori in Mexico for February 20, 2015, we got a confirmation within a few days of booking and paid this resort for gratuities. We bought the package based on the services and amenities provided by Azul Sensatori. Our son has Autism and the resort was perfect for him, including a 24/7 medical services, a sensory play room, playground and kiddie pool. This trip would be the first for him and have been working with him for over a month with the original resorts web photos using social stories and even incorporated into his therapy sessions. 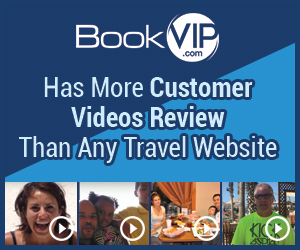 Book VIP's first excuse was Azul was unavailable during the dates we booked back in June 14, that same day I email the resort directly and the reply was we are wide open during those dates. Each time I call the supervisor Keith Isabell has been avoiding my calls, when I do get him on the phone every time he would state "let me see what I can do, I will call you back tomorrow" he never called me back even thought he stated that on 4 different occasions. Disputes the fact each excuse they give me is disproven, by providing facts on our end, BOOKVIP will not take any responsibility for this major issue for my family. Review #593250 is a subjective opinion of User593250.